A friend of mine has recently asked if I can solve a little problem he's having. Watching Zulu recently he happened to mention the part when, during a lull in the fighting, we have a scene in the cattle kraal when some stretcher bearers appear handing out some drinking water to the men. The buckets they are carrying on yokes across their shoulders have 2 tin mugs attached with chains, allowing each man a quick mouthful of water. As he's recently acquired some similar buckets he wondered if these were official issue during that period and whether they had a name? He assumed they would be referred to as billy cans, but this seems not to be the case. I mentioned to him that each individual private carried his own Oliver pattern water bottle (as they are usually referred to) but would these larger buckets have been used to fetch water from nearby streams etc? Mark - the containers used are commonly referred to as "Dixies" however the official designation for them would be Service Kettle - Oval Large - from the "Regulations and Instructions for Encampments". Lloyd's "On active service - plate 13" has a chap carrying a couple of more bucket like containers in the drawing "Our best drinking water" but given some of the other artistic licences in his work then they could easily be meant to be "dixies". Not designed to be carried on straps but good use by the props department and something that makes sense. To quote Bertram Wooster, "You interest me strangely Old Chap". Would you be so kind as to extrapolate a little further on the number of rivets as I have a couple of these and have noted the development of the dixie over the years but not been aware of when or why? Excellent Tim, just what he was needing. I'll pass it on to my mate. Whilst we're on the subject of water containers etc, at Rorke's Drift they of course had a water cart which was retrieved from the yard with the help of a bayonet charge. Did these also have a name and a specific design or were they just "thrown together" locally with whatever materials came to hand? Sods law that people always ask you to let them have details out of season when your kit is dispersed all over the UK so if Kiwi you can bear with me I'll see what I can do from various pics etc here and the couple of different ones I have to hand. 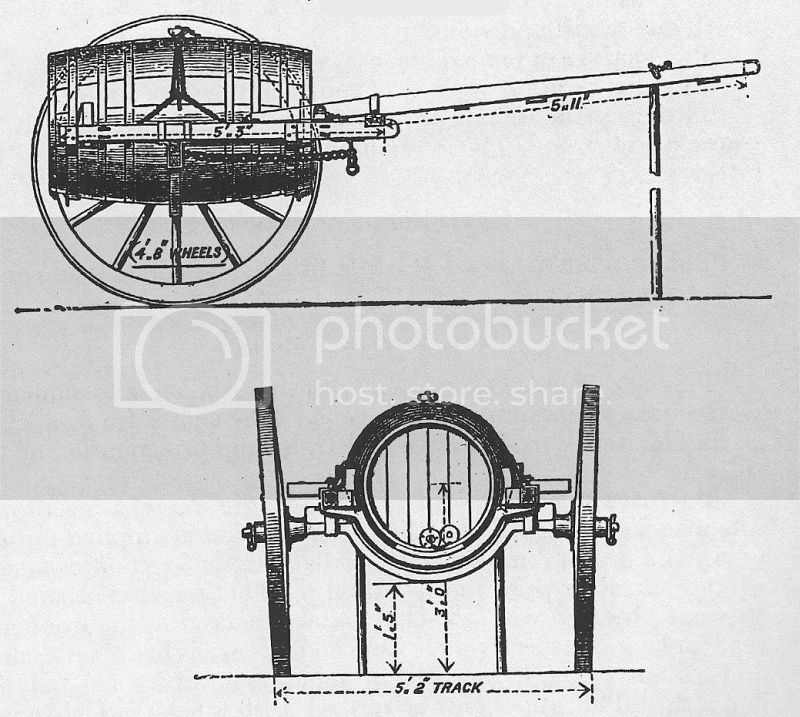 Mark - most money is on the Mark IV water cart - it was the one in service during the period and given Chard's technical background I am sure he would have referred to anything else as say a "kaffir cart with water barrels" on it rather than use the term water cart. 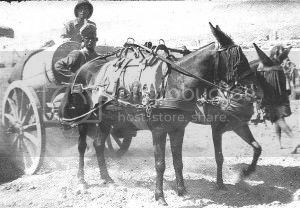 First is line drawing of the cart - second pic is the only one I can find that is sort of period - Indian Army using a Mark IV in Mespot. "In the fullness of time, " or perhaps even, "when the moment is right". My thanks for you agreeing to address this at all and I will wait for you to gather your kit.